The term ‘Website Domain’ can sound rather officious, a little daunting even! In simplest terms, it’s your online identity – your name and internet address rolled into one. Computers recognize each other in the gigantic internet world with IP addresses – a series of numbers – but, as we humble humans would find it tough to memorize millions of numbers, the simpler domain name was created. 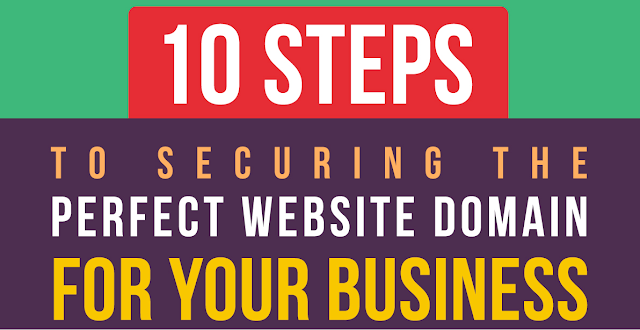 This infographic takes you through 10 simple, but hard-working, steps that enable you to systematically build and secure the best possible domain name – that’s brand-centric and easy to recall.